Priced at land value! Fabulous building site. South side location in Canyon Heights. Gentle sloping 9,372 sq.ft. lot with 66' frontage. 4 bedrooms, 2.5 bathrooms. Very livable house with a modern kitchen, heated tile flooring, stainless appliances, hardwood, open plan living/dining with gas fireplace. Large south facing sundeck. Rec room with garden access. Lower level is an easy conversion to in-law accommodation. 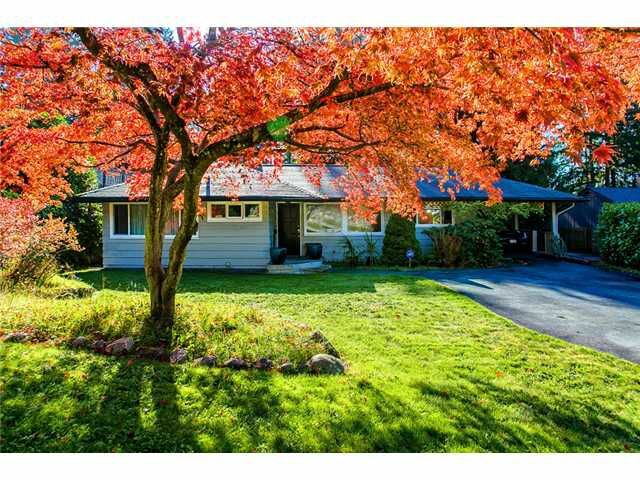 Edgemont Village, Handsworth School and Grouse Mountain at your fingertips. Don't hesitate!